Lesion scoring technique for Eimeria in chickens: An indicator for successful diagnosis. When talking about the diagnosis of Eimeria in chickens, most people think of the oocyst count (OPG) and now PCR as the gold standard methods for obtaining the most accurate diagnosis. This is partly true, however it is very important to remember that the earliest diagnosis is still only possible with the classical lesion scoring technique implemented in 1970 by Johnson & Reid. Some factors can affect the lesion scoring method and should therefore be taken into consideration: proper selection of birds, careful necropsy procedure and accurate training for lesion identification. Continue reading Lesion scoring technique for Eimeria in chickens: An indicator for successful diagnosis. Coccidiosis in poultry does not only come from Eimeria tenella and has started to affect more and more laying hens. 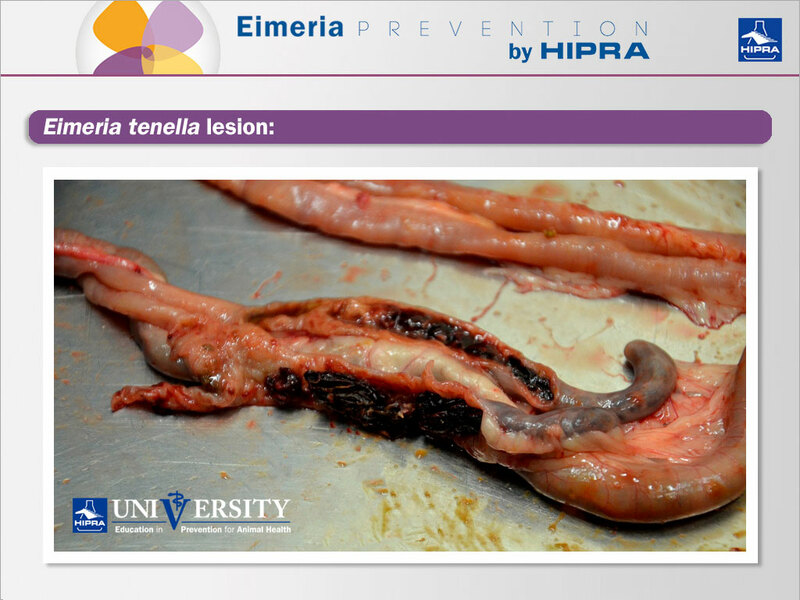 Eimeria tenella is by far the most widely detected species on farms when routine lesion scoring is performed. However, it is well known that most of the time Eimeria infections are multiple. On the other hand, during last decade the egg sector has probably undergone the biggest changes, with an ever-increasing percentage of cage-free laying hens, especially in Europe. Generally in layers and breeders we distinguish between caecal and intestinal coccidiosis. Caecal coccidiosis is due to Eimeria tenella that is confined to the caecum and consists of the presence of hemorrhages on the outside or inside of the wall of the caecum. This acute infection occurs most commonly in young chicks and is by far the most widely diagnosed in the field due to its typical lesions and location. For this reason, a common belief is that Eimeria tenella is the most prevalent all over the globe. In fact, macroscopic lesions are amongst the most pathognomonic with blood or typical molds in the caecum and common findings of bloody droppings in the litter. A common belief is that Eimeria tenella is the most prevalent all over the globe. Continue reading Coccidiosis in poultry does not only come from Eimeria tenella and has started to affect more and more laying hens. What if a device for the administration of vaccines against coccidiosis in chickens were to offer even more? Continue reading What if a device for the administration of vaccines against coccidiosis in chickens were to offer even more? Comparison between attenuated and non-attenuated Eimeria vaccines. What is the difference? Eimeria vaccines for poultry are mainly composed of live oocysts. Concerns about the safety of coccidiosis vaccines have been raised by field users. 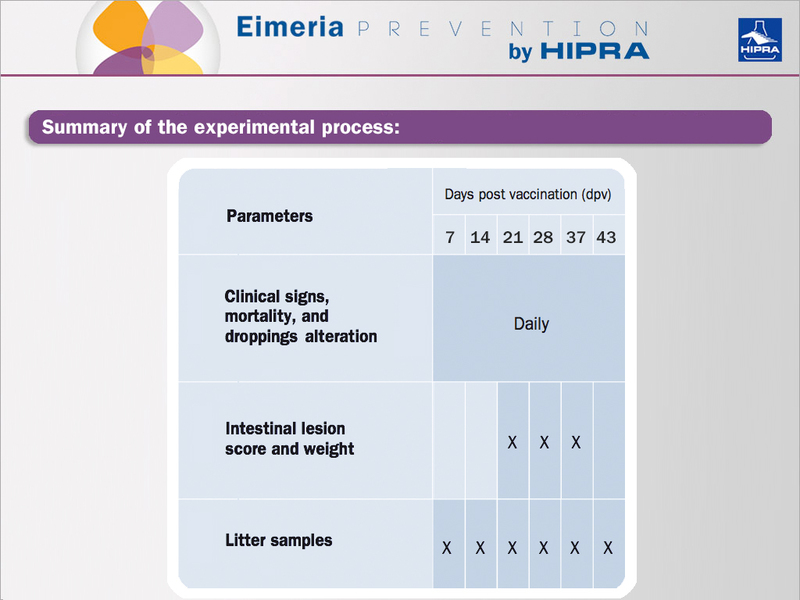 This study compares the safety parameters of commercial non-attenuated and attenuated Eimeria vaccines with EVALON®, a live attenuated coccidiosis vaccine for breeders and layers. 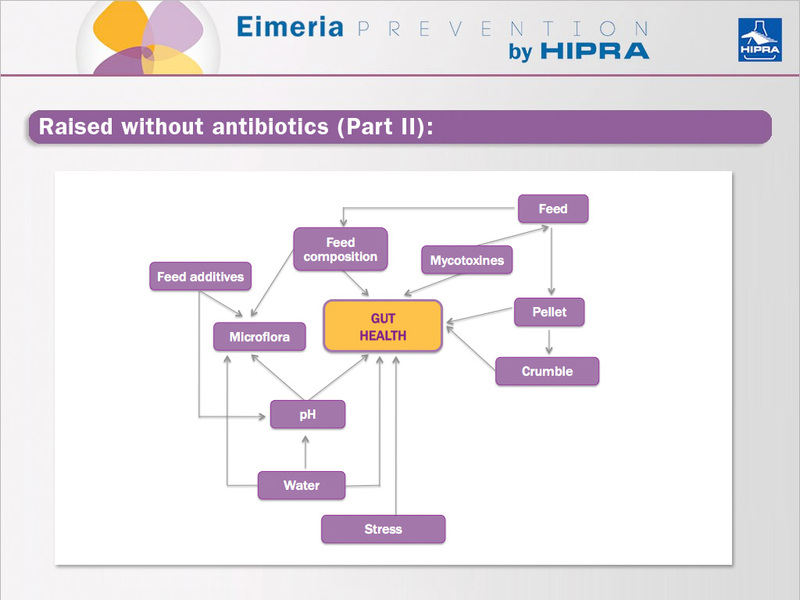 Most of the Eimeria vaccines available for chickens consist of live parasites that need to undergo two and sometimes three entire life cycles inside the host gut in order to trigger the immune system and subsequently establish a full protective immunity. On the market, there are live non-attenuated and attenuated vaccines. Live non-attenuated vaccines consist of parasites that still maintain their natural virulence. Continue reading Comparison between attenuated and non-attenuated Eimeria vaccines. What is the difference? Big data is already being used to improve operational efficiency, and the ability to make informed decisions based on the very latest up-to-the-moment information is rapidly becoming the mainstream norm. Companies that fail to adapt do so at their own competitive and market risk, and this is also true for farm and hatchery management. But, what about its use for controlling coccidiosis in poultry by vaccination? In the next post we present 2 different practical-use cases in which companies have successfully used analytics to deliver extraordinary results. In poultry farming we are at the beginning of the big data revolution. But much more needs to be done and taken into account for the future. 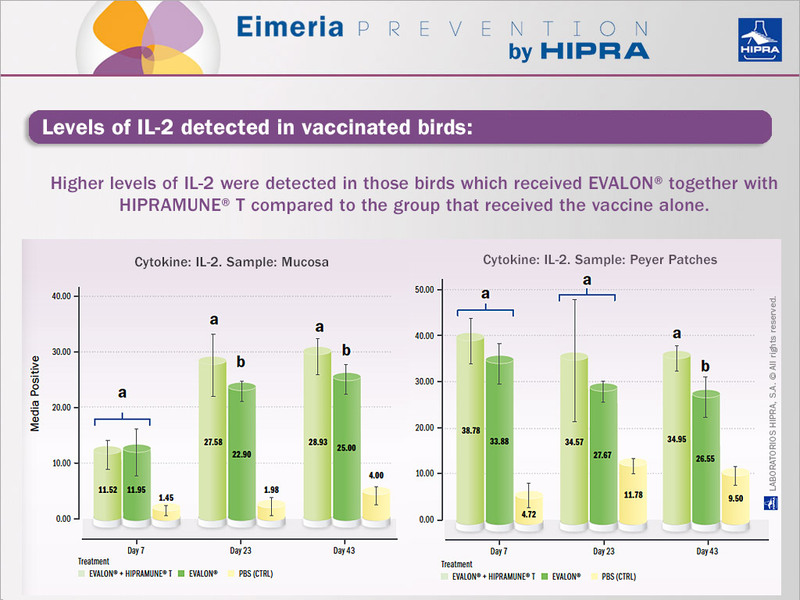 Live Eimeria vaccines have been widely used in poultry for more than 50 years now and we already described the differences among each other in a previous post (Part I). Since the 80s, attempts to develop next-generation recombinant coccidiosis vaccines have led to the identification of several candidate antigens (Blake et al. 2017). In spite of this, no recombinant Eimeria vaccine has been brought to market so far. So has anything new come to market since the 1950’s? The reality is that nothing more than classic live Eimeria vaccines has been developed since the 1950s when the first coccidiosis vaccine reached the market. At first glance, if we think about all the other vaccines that have been brought to market in the meantime – both viral and bacterial -, and given that recombinant vaccines have been available for almost a decade now, it seems that research in the field of Eimeria vaccines has failed to keep pace. 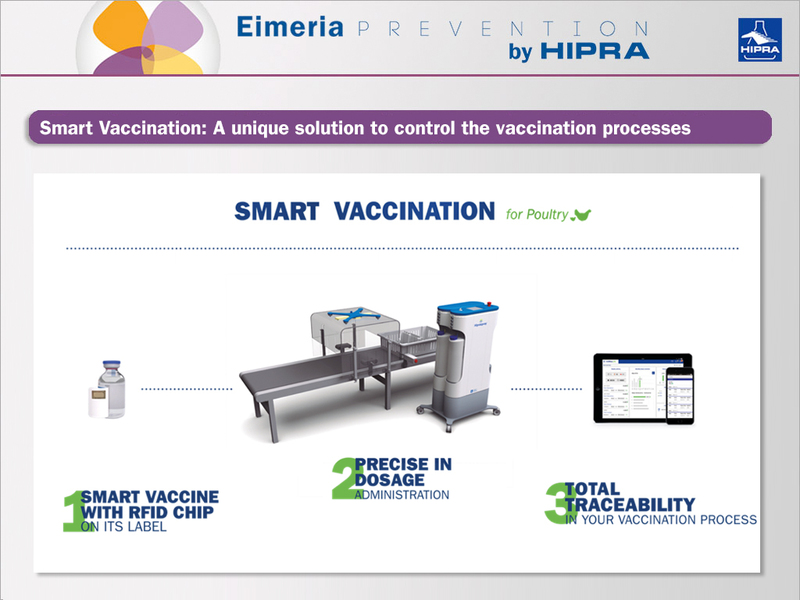 Eimeria vaccines have been widely used in poultry since the early 1950’s and their advantages have been clearly shown. In spite of this, there are some differences between them -attenuation, composition, administration route-, but they all consist of live parasites that need to undergo two and sometimes three entire life cycles inside the host gut in order to trigger the immune system and subsequently establish full protective immunity. There are both live non-attenuated and attenuated Eimeria vaccines on the market. Live non-attenuated vaccines consist of parasites that still maintain their natural virulence. Control of the development of adverse reactions (coccidiosis disease) is achieved by using low numbers of oocysts in vaccine preparations and in some cases even by the use of anticoccidials to control the excessive spread of vaccine strains. This strategy of “controlled exposure” allows protective immunity to develop before the contamination of litter with non-attenuated oocysts becomes severe. Nowadays there is an increasing demand for products that come from animals raised without antibiotics. The concerning thing about antibiotic resistance and the alarming situation with the superbug is that it increases the demand for these distinctive products. Problems such as coccidiosis in broilers and maintaining productive efficiency have to be taken into account. In broiler production, coccidiosis can be controlled through the use of inonophores. Ionophores are antimicrobials and yet they are used in many countries with antibiotic reduction policies. The reason for this is that there are no public health concerns regarding this type of product. Despite this, it can (and it will) induce resistance in microbials, such as Eimeria, and will have an impact on animal health and production results as consequence. The most significant use of antibiotics for broiler production is for the prevention of coccidiosis in poultry (ionophore coccidiostats are one type of antibiotic), and for the treatment or prevention of necrotic enteritis. Data Management and Big Data: Something to deal with coccidiosis in poultry? The world is connected and this connection generates millions and millions of data. We currently generate data every time we are online whether it’s by using our smartphones, GPS, social networks, when we buy things, when we go to work or when we communicate with each other, among other things. It could be said that we leave tracks in the form of digital data due to almost every activity we carry out in our daily lives. It is predicted that by 2020, there will be 50 trillion devices connected to the Internet. So what about the poultry sector? The sector is also connected and it is becoming increasingly so. In industry, and particularly in the poultry farming industry, this digital transformation is also taking place. For example, there are increasingly more devices being used in farms and hatcheries that have humidity sensors, sensors to regulate food, air quality control sensors, sensors for biosecurity, etc. Many of these devices are connected to the Internet and generate digital data on a daily basis. 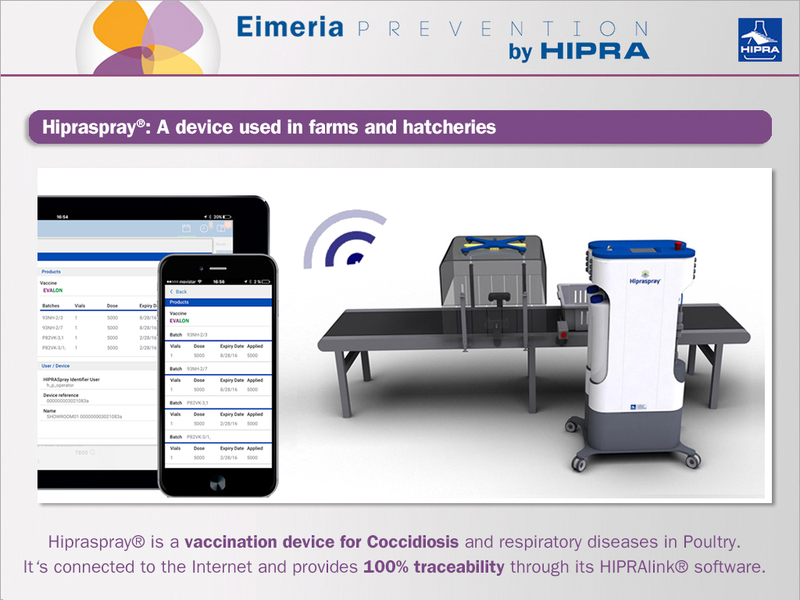 A clear example of this is with Hipraspray®, the vaccination device for COCCIDIOSIS AND RESPIRATORY DISEASES IN POULTRY which is connected to the Internet and provides 100% traceability through its HIPRAlink® software. 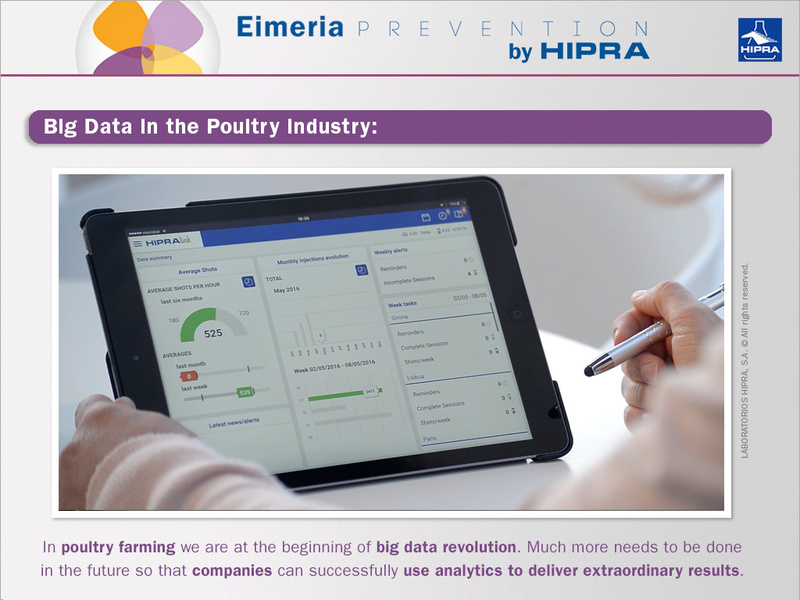 Continue reading Data Management and Big Data: Something to deal with coccidiosis in poultry? A series of press releases by prominent food chains and wholesalers demanding poultry that has been raised ‘without antibiotics’ has caused a quick paradigm shift in broiler production towards the reduction or elimination of antibiotics and the control of pathologies such as coccidiosis in poultry. Poultry labelled ‘raised without antibiotics’ are distinctive products that more and more often are found in restaurants and supermarkets. However, making this type of product is a challenge for companies. One of the obstacles to raising chickens without antibiotics is coccidiosis in poultry.